Part two of my Magpie counting project. Happy to be posting again. Some illustrations just flow – this watercolor of many layers took a bit longer to work through. 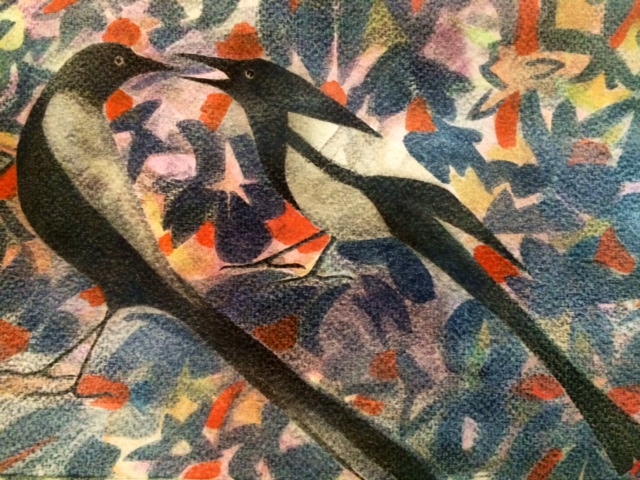 Magpies… one of my favorite birds, at the very top. Magpies the most elegant of the Corvid family. 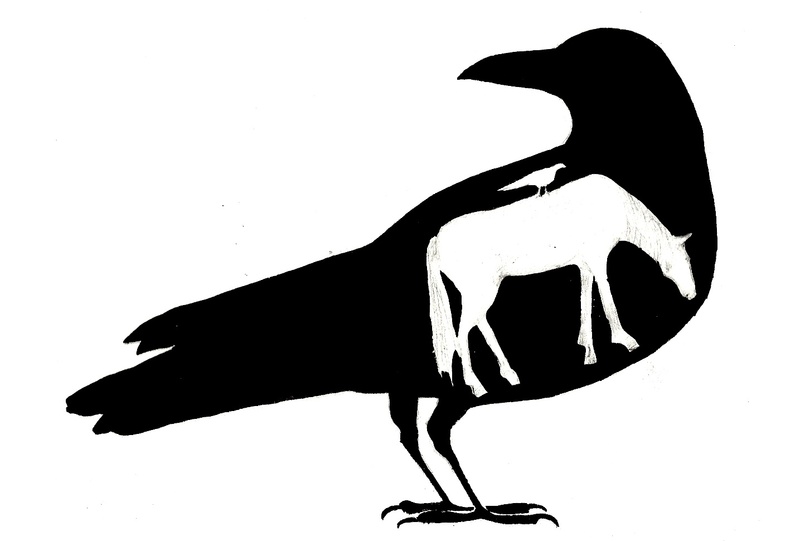 Working on a new project illustrating the counting “crows” nursery rhyme. This exhibit features work created specifically for my Sketchjay blog. Blogging has been a bright spot in my life just like running. I am so appreciative of those who follow my work and share their feedback. If you are in New York City please stop by. Please join me for an exhibition of artwork I created for this Blog. I am busy working on a new project that I am very excited about, it is a collaboration with someone I respect and admire very much. It is a labor of love and it will take some time to complete. Until I am able to share more details I will be reposting some older work. Thanks everyone for your support and interesting insights. 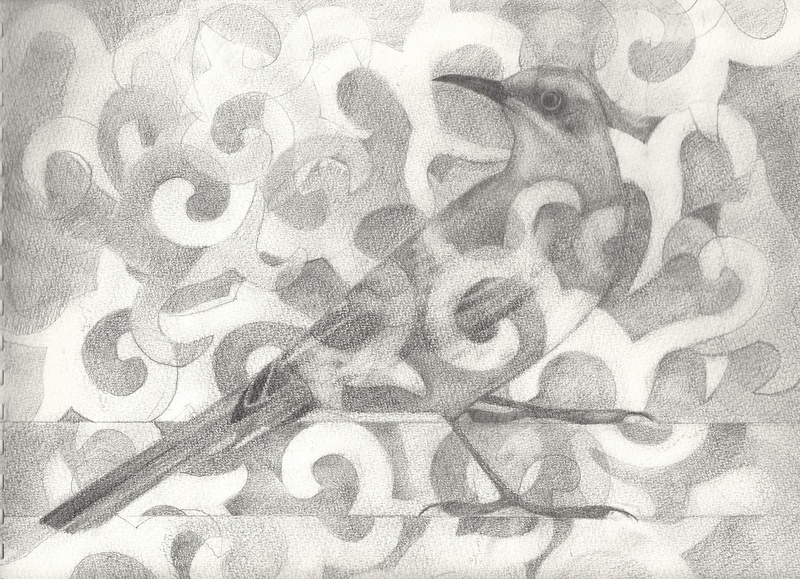 The original title of this piece was “Missing Mockingbird” – graphite on paper, 2011. Once again I am exploring the Roadrunner, inspired by my recent running activities. Not the form or shape of birds that I typically find compelling but I am enjoying the exploration and loving this new bird. After running my first Half Marathon last month, which was amazing, I decided to register for a full marathon. 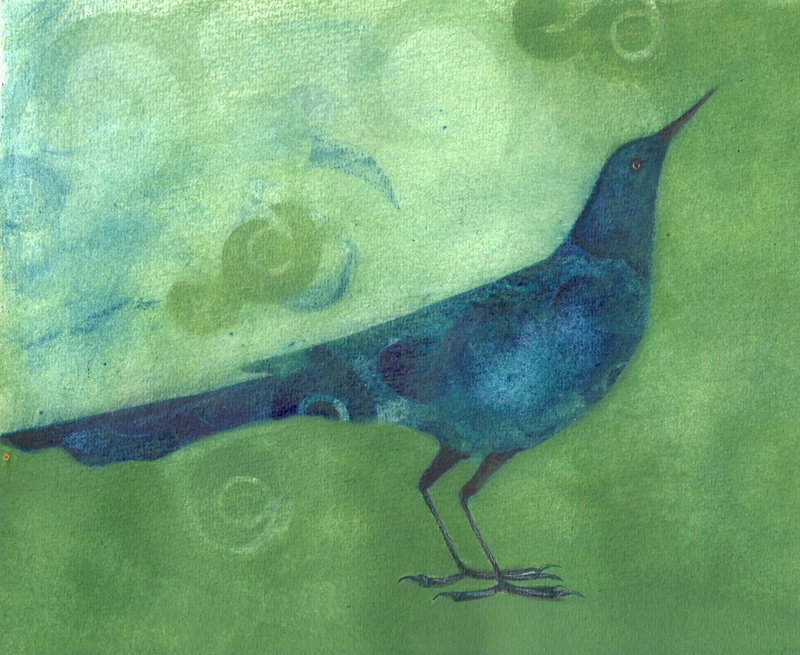 I am giving away original art on NYC Marathon day, November 2nd 2014, my Roadrunner studies and paintings! Names will be randomly chosen from the names of those who have donated to Team For Kids. Please visit http://www.runwithtfk.org/Profile/PublicPage/17732 to learn more. 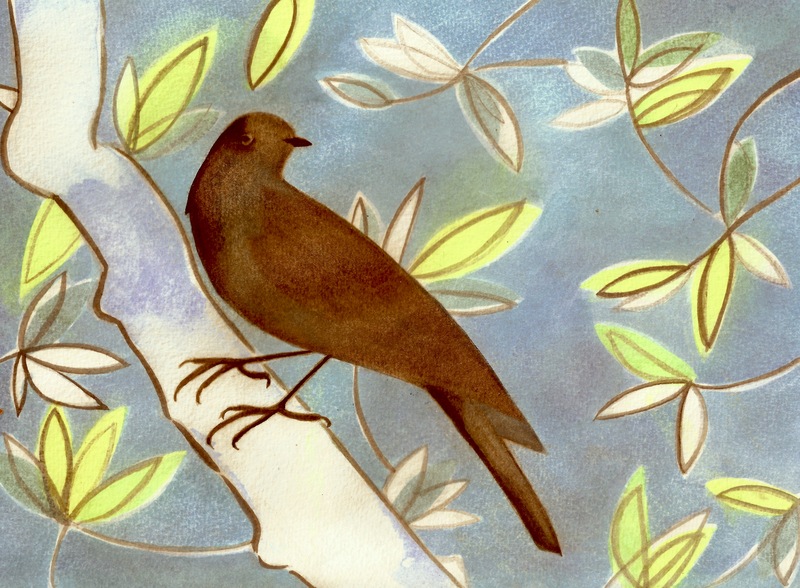 In addition, I am sending each person who donates to my fundraising page a card featuring one of my illustrations and a personal thank you from me to you! No donation is too small and you can donate more than once! Even a donation of 5 or 10 dollars enters your name into the drawing. I have been away from my posts for a little while… involved in a number of new things some creative, some not. 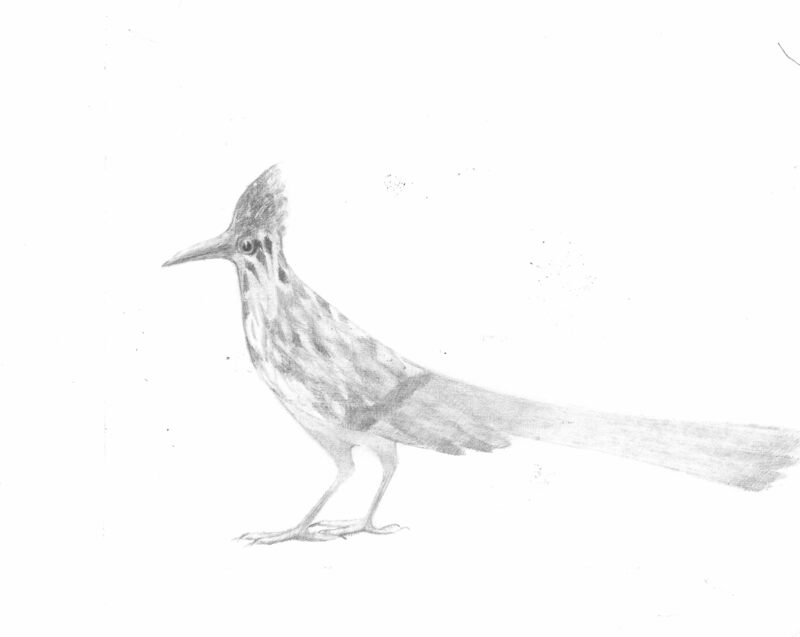 This Roadrunner is inspired by my recent running activities. 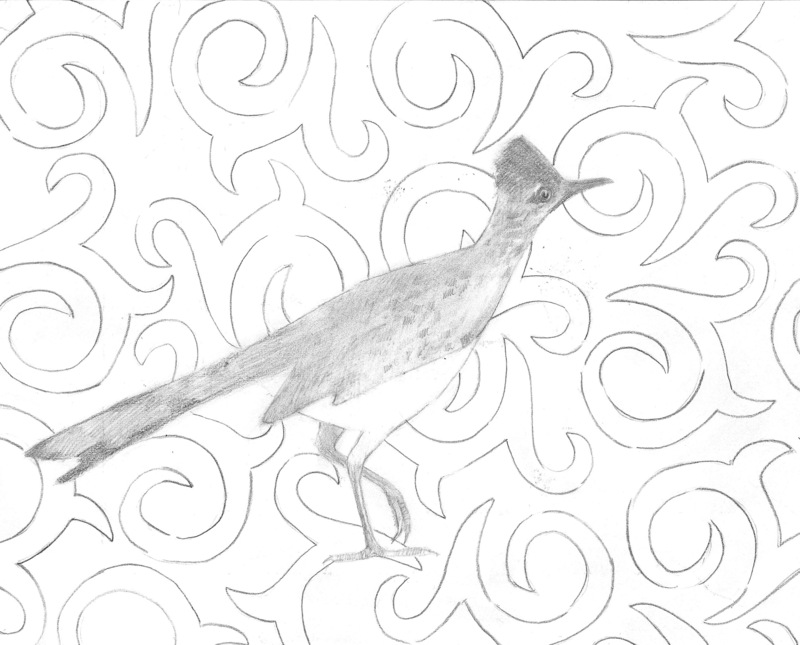 Suggested by my daughter, this is my first Roadrunner. This past Sunday I ran my first Half Marathon which was amazing and the inspiration for this sketch. Roadrunners can be quite unusual looking. I am giving away original art on NYC Marathon day, November 2nd! One or more names will be randomly chosen from the names of those who have donated to Team For Kids. Please visit http://www.runwithtfk.org/Profile/PublicPage/17732 In addition, I am sending each person who donates to my fundraising page a card featuring one of my illustrations and a personal thank you from me to you! No donation is too small and you can donate more than once! Even a donation of 5 or 10 dollars enters your name into the drawing. Thanks so much for your support! Congratulations to all those who ran the Boston Marathon! Celebrating the sweet gentle creatures in my life! 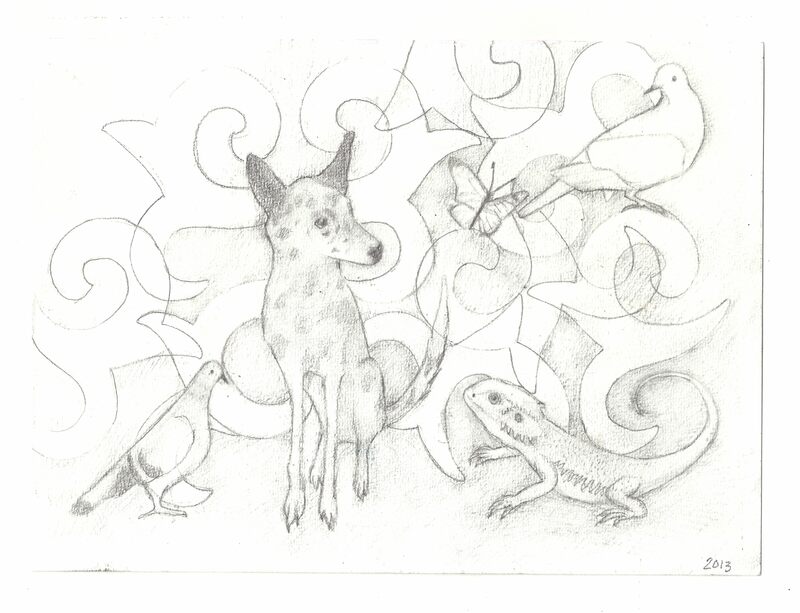 This is my holiday card – thinking of all the sweetness in the world and wishing you a beautiful 2014! 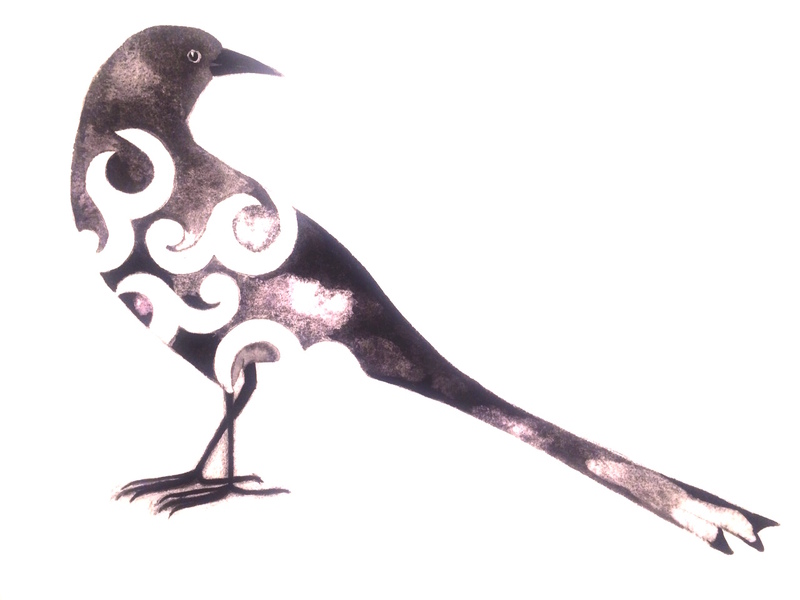 Working on a new project, I stumbled upon this Grackle. It was part of a study – that has me experimenting with a new palette. More to come soon… Great excitement over the new possibilities, new imagery and new mediums.